Eton has a lot of solar-powered products such as emergency gadgets like the Raptor and the Scorpion. Their most recent product, the Mobius, takes a page from the Mophie Juice Pack playbook as it is a portable charger specifically designed for the iPhone 4. 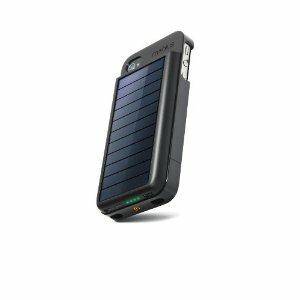 The Juice Pack is a battery that doubles as an iPhone case, and the Mobius is essentially the same thing, but solar-powered. According to the official Press Release, one hour of sun on the solar cells is sufficient enough for 25 minutes of talk time, 20 minutes of internet use, 35 minutes of video playback, and two hours of audio playback. 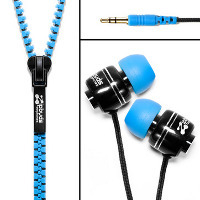 We have reported on G-Form’s products before with the Extreme Portfolio and Extreme Edge. I recently got a chance to try out the Extreme Sleeve. The first thing I have to tell you about the Extreme Sleeve is that it is soft. I know that it looks like hard plastic in the image to the left, but it actually is G-Form’s Reactive Protection Technology (RPT) which is a composite blend of PORON XRD material and other trade secrets. The end result is a substance that feels like a sponge without holes, and it “changes its molecular structure on impact”. If you watch the video after the jump, you can see a twelve-pound bowling ball get dropped on an Extreme Sleeved iPad. You can also see how a hard-shell case stands with the same impact. You can probably guess how it ends. The world’s fastest sport is also one of the most expensive – it basically isn’t cost effective to drive a Formula 1 car, but then again, it is through Formula 1 that we get many technologies that you see in passenger cars these days such as Anti-lock Braking System (ABS) as well as paddle shifts. Sure, fans of the motorsport will probably have their idols whom they want to emulate, and one of the ways to sit in your very own Formula 1 car would be through a computer or console game. What used to rely on console controllers or a keyboard to navigate your vehicle has evolved greatly, where a steering wheel add-on is definitely favored over the traditional gaming setup for that added dose of realism. After all, you don’t drive an actual car with the keyboard, right? Not only that, a steering wheel peripheral also makes the game far more immersive. 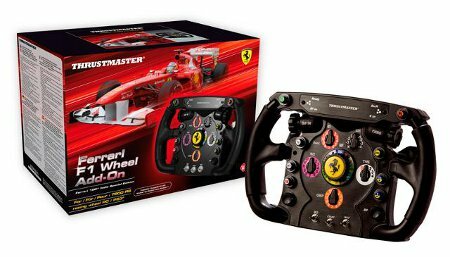 Having said that, Thrustmaster has come up with the Ferrari F1 Wheel Add-On that is a removable racing wheel and a life-size replica of the Ferrari 150° Italia racing wheel.